New Google Shopping Ads Format? Home > Google News > Google AdWords > Is This A New Google Shopping Ad Format? Is This A New Google Shopping Ad Format? Barbara Starr shared a picture of what she says is a new ad format for Google Shopping Ads (Google Product Listing Ads) on Google+. You can likely replicate it yourself for the query [aromatherapy associates balance shampoo]. 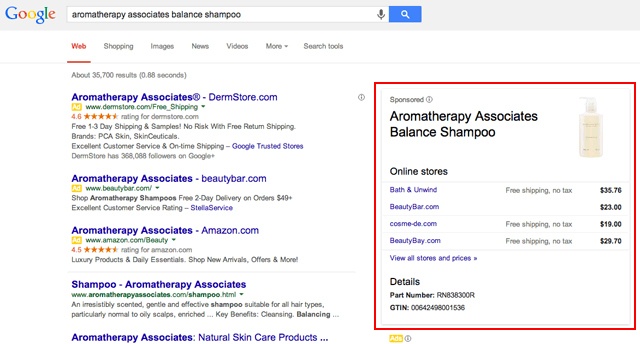 The product image, details, sku, etc are on the right side, where you'd see a knowledge graph box. 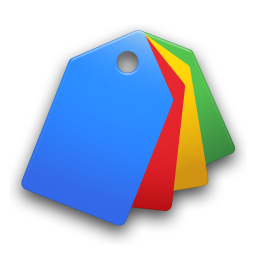 It also has links and prices to retailers who participate in Google Shopping Ads.